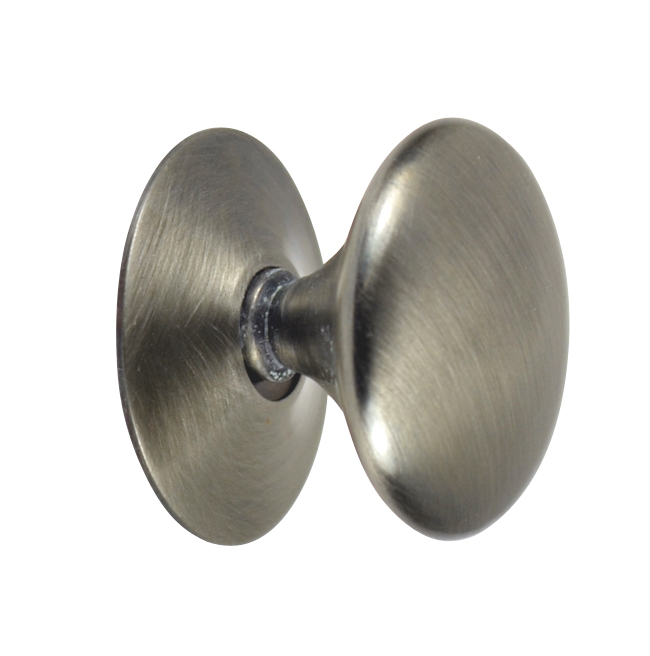 1 Inch Pure Brass Traditional Round Knob (Antique Nickel). Measures 1 inch in diameter with a projection of 3/4 inch. Comes complete with mounting screw and back plate as shown. Available in several finishes including polished brass, antique brass, oil rubbed bronze, polished chrome, brushed nickel, and flat black.